“Tell me about your first choice,” Dr. Richards asked, regarding my dilemma about which seminary I should consider attending. Up until that month, my choice had always been easy. I would attend the closest Methodist seminary to my hometown–it was about three hours away. I would be able to come home frequently, and could even work as a student pastor in my home state and commute to school through the week. And then it all changed in the blink of an eye. I had been praying for God to guide my life. Of course, I had not intended for God to be a navigator, steering me in an earthly fashion. I was looking for spiritual guidance. I knew I had a lot of growing to do if I was going to fulfill my call to ministry. But be careful what you pray for. Because it turned out God was trying to be an actual navigator… and he was steering me away from the place I wanted to be and in a new direction. “And the new place you’re thinking about?” Dr. Richards asked. I had always trusted Dr. Richards opinions. He had been my favorite professor in college and had become a treasured and beloved mentor to me through those years. After graduating, I kept in touch with him and we co-authored a paper together. Our relationship shifted from professor-student to friends, but he never stopped being my mentor. And I never stopped seeking his advice. He had a point. Dr. Richards’ classes and the heated debates we often engaged in after class were some of my best college memories… and some of the best growing experiences I had as a young adult. He had stretched me. And I was a better person for it. So I chose the school that would stretch me. I had not been there a month before I was calling Dr. Richards at his office, complaining about how far out in left field everyone at this school seemed to be. How had I let him talk me into going to such a nutty place to study? These people were wanting me to read heretical books, study things that I didn’t believe, and worship with people who practiced brands of Christianity I questioned. Dr. Richards’ response angered me. He chuckled in that knowing way he had about him. Dr. Richards’ had been to seminary himself. He was a priest in the Western Rite Orthodox church and had been through some of the same types of conversations I was finding so disturbing at my new school. But he knew that he had emerged from those conversations more aware of his faith, better able to express it… and maybe even a little pruned. Some of the things he thought he had believed had been challenged and he realized he didn’t really believe them at all. But having been pruned of those excess things had freed him up to believe more deeply in the things that mattered. 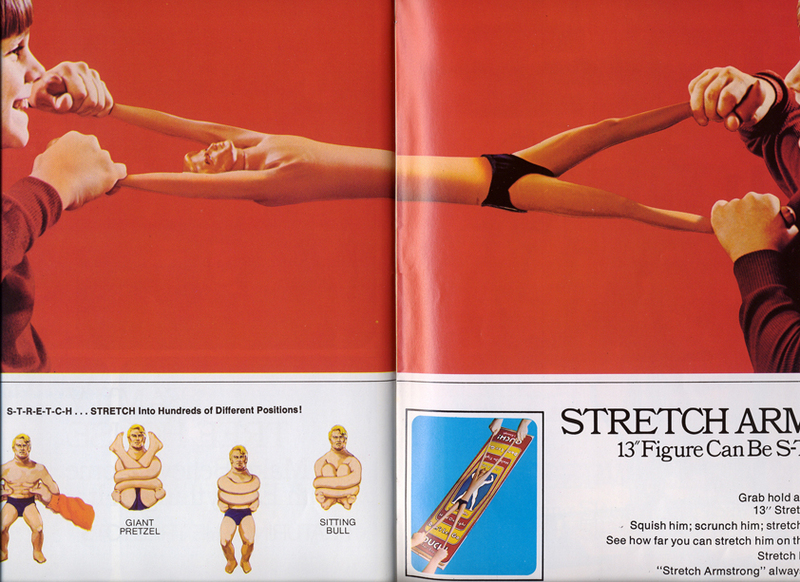 So, month after month, I felt myself being stretched like Stretch Armstrong. I would stretch until I thought I would tear, and find that I could actually stretch a bit further. Every so often I would call Dr. Richards’ with questions or complaints. He would listen patiently, chuckle at inappropriate moments, and offer sage advice. By the time I finished my studies at seminary and had returned home to begin my full-time ministry, I was grateful to Dr. Richards for encouraging me to go someplace so foreign to the sheltered world in which I had grown up. I had been stretched. He had been right about that. At times it hurt to be stretched that much. There were moments I found it almost unbearable. And yet, with each new direction I had been stretched in I learned something more about God, about myself, and about my calling. My spirituality grew. My confidence grew. My willingness to obey God’s call on my life grew. And my love and faith in Jesus Christ grew. And yes… I was pruned, too. There were some things I found I just didn’t need to cling to any more. Other things I realized were preventing me from being the disciple I wanted to be… or needed to be. And once those needless branches were cut away, I was free to grow in new directions… but always, it was a growth that carried me closer to the light. So never be afraid of being stretched. You might just be surprised to find that it’s not people stretching you in uncomfortable ways, but God trying to stretch and mold you into the person you keep praying you could be… the person you know God meant you to be.